Who is AC Milan's Scout? So it has to be one of the most bizarre transfers of the summer, Fabio Borini has moved to Italian giants AC Milan. The team that seem to have unlimited funds due to their new owners, the team that has been linked to arguably the world’s best footballer Cristiano Ronaldo this summer. It is great from Sunderland’s point of view, with a reportedly £5.3 million exchanged for the forward, although that is just over half of what he was bought for, but he is certainly one of the most over paid players on the Sunderland’s books. 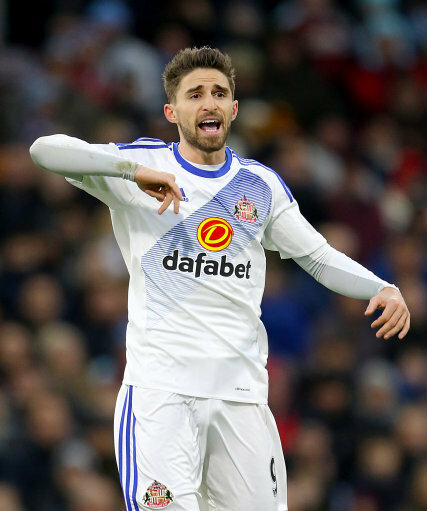 Borini has failed to meet his promise in the Premiership, playing only four first team games for Chelsea before being loaned out. Returning to the premiership with Liverpool, scoring only two goals in 25 appearances. It was not all bad in fact, quite the opposite, Borini came on loan to Sunderland from Liverpool and had a great first season, scoring in both derby’s. Once his loan deal had finished on Wearside, Sunderland had an uphill struggle to convince him to stay, Liverpool did not want him. Borini’s time on Wearside was a downward spiral after that agreeing to join, not being able to replicate his on loan form. Finally playing a part in what sent Sunderland down, it seems the Italian is just not premiership class. That is not just Sunderland sour grapes from a Sunderland fan, he could do the stuff at two of England’s top sides either (Chelsea and Liverpool. Borini must be thinking his prays where answered when AC Milan even should an interest, he has certainly been given a huge second chance at what could be view as a failing career.